HÀ NỘI — Failed negotiations between the power company and localities on where to place power stations and lines were to blame for the delay of power transmission projects, according to the National Power Transmission Corporation. In HCM City, the 220kV Tao Đàn-Tân Cảng underground cable was scheduled for completion last year, but the company and local authorities have not reached an agreement on where the cable should run. 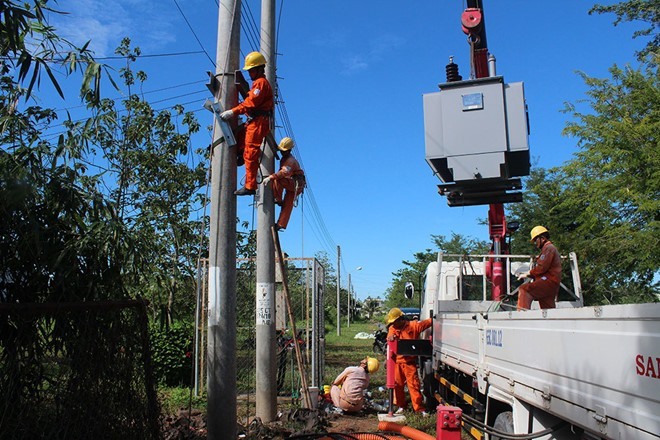 Slow land clearance delayed other projects including the 500kV Vĩnh Tân-Sông Mây-Tân Uyên line in the provinces of Bình Thuận and Đồng Nai and the 500kv Long Phú-Ô Môn line in the southern province of Hậu Giang. The corporation said that last year it started 42 power transmission projects with total disbursed investment of VNĐ15.5 trillion (US$666.6 million). Of the projects, the 500kV Vũng Áng-Pleiku 2 line will be especially important in providing power to the southern region. Last year, it also completed 54 power transmission projects, helping ensure power supply to Hà Nội, key economic hubs in the north and the south such as the 500kV and 220kV lines Hiệp Hoà-Đông Anh-Bắc Ninh, 500kV Tân Định Transformer Substation and Lai Châu 500kV Transformer Substation.